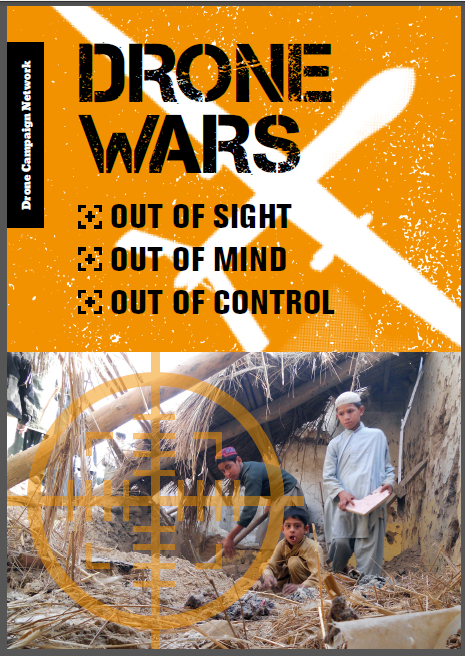 ‘Swarm Troopers’ has been around for a while, but nevertheless deserves reviewing and remains a worthwhile read and an important contribution to writing on drones and warfare. It was originally published in December 2015, yet in this fast moving field we are already beginning to see some of the outcomes that author David Hambling predicts taking shape. This is the central thesis of ‘Swarm Troopers’: that in the modern world there is a trend for things to get smaller yet more powerful; that small is beautiful; and that small drones will eventually, to use Hambling’s phrase, “conquer the world”. He attributes this potential to the possibilities unleashed by Moore’s Law, named after Gordon Moore, co-founder of the Intel Corporation, who observed that the number of transistors per square inch on integrated circuits was doubling roughly every 18 months, allowing an exponential increase in computer processing power over time. As a technology journalist and regular contributor to Aviation Week, Popular Mechanics, and Wired web magazines Hambling is well placed to analyse the implications of this. When we think of an armed drone, then the odds are that it’s probably something along the lines of the Predator / Reaper drones deployed by the US armed forces and their allies. Although small when compared to most conventional aircraft, these are giants in the world of drones, where microdrones a mere 5 cm across can now be bought for less than £50 in the high street. 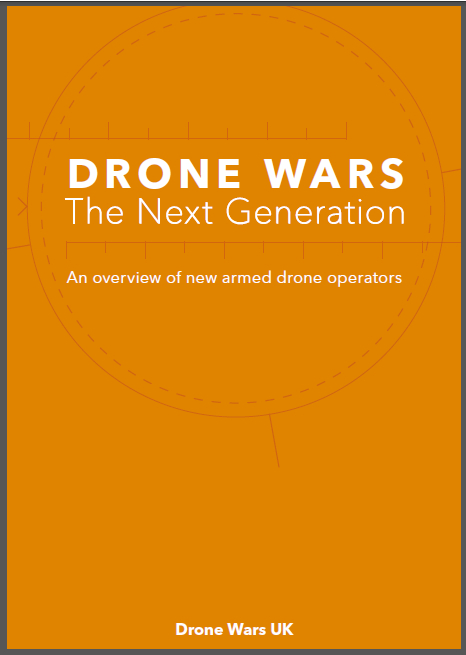 Hambling believes that the days of large drone systems are numbered, and a combination of military-industrial bureaucracy, the innovation of the civilian consumer electronics sector, and the high costs of specialist military equipment will result in the rise of a new era of small but powerful drones which will revolutionise the pursuit of warfare. By using microcomputer technology combined with open-source systems architecture, Hambling argues convincingly that small drones will become the equivalent of a ‘smartphone with wings’: powerful, versatile, capable of rapid development and evolution, and able not only to outprice Big Military technology, but also outflank it. He describes how the MITRE Corporation has built a military grade drone called Razor for just $2000 using 3-D printing and smartphone technology, boasting “90% of the capability at 10% of the cost”, and how the Defence Advanced Research Projects Agency (DARPA) is now using computer electronics based on the Android operating system to develop remote sensing systems for the US military. Combined with contemporary advances in robotics, imaging, explosives technology, and artificial intelligence, the small, cheap drones of the future would be able to operate in a way which would allow the use of disruptive military tactics radically different than those which have been conventionally used. One such technique is the ability to operate together in swarms, multiplying their impact dramatically. The Strategic Capabilities Office of the US Department of Defense is developing the Perdix drone – again, relatively inexpensive and based on smartphone technology – which is able to communicate with associated drones to form a swarm, capable of executing common missions and orbiting around a common point. The relatively low price of small drones means that the military will be able to treat them as disposable, giving the potential of arming a drone swarm to turn it into what Hambling describes as a “flying minefield” able to neutralise an infantry battalion, an airbase, or an aircraft carrier. Biomimetic science, based on copying the features of natural systems, could also allow the development of small drones which perch in the same way that birds do, enabling them to land on power lines, roofs, or the ground and lurk unobtrusively until a target enters their vicinity. Whether such predictions will materialise as tangible military capabilities in the near term future remains to be seen. 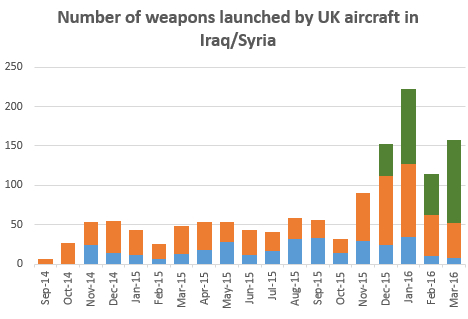 Hambling himself points out the cultural aversions within traditionally-focused Defence Ministries to innovative ‘commercial off-the-shelf’ equipment: Big Military likes big programmes, and historically this has been one of the reasons that the potential of drones in armed combat has been slow to develop, even though unmanned aircraft were available during World War I. Nevertheless, the risk that small autonomous drones, be they aerial, maritime, or undersea systems, could be rapidly developed and used to incapacitate conventional military forces should give serious food for thought to military planners currently embarking on the purchase of high-end long-term equipment projects such as the F35 Lightning aircraft and the Dreadnought class submarines. There are a number of picky points that could be scored against ‘Swarm Troopers’: the widespread use of acronyms can be hard to follow; the lack of an index is a sore omission; referencing is sometimes haphazard, and the proof-reading could have been undertaken more diligently. However, the book has been self-published by Hambling, so the slightly less slick finish than a professionally produced book can perhaps be forgiven. Rather more disappointingly, despite the book’s somewhat pessimistic outlook, there is virtually no discussion of initiatives to control the development and proliferation of autonomous drones and ‘killer robots’ – the book contains just one short paragraph mentioning the possibility of outlawing them. This should not, however, detract from the overall merit of ‘Swarm Troopers’. The book is a worthwhile and useful read for anyone concerned about military technology and the future of warfare, and Hambling has performed us all a service by highlighting the potential for small drones to overthrow current preconceptions about defence and security.